Facebook has unveiled NG_Hub, its first flagship community hub space in Africa, in Lagos, Nigeria, aimed at bringing together developers, startups and the wider tech community to collaborate, learn, and exchange ideas. Disrupt Africa reported last year Facebook had partnered Lagos-based incubator Co-Creation Hub (CcHub) to launch NG_Hub, a physical space that will serve as a centre for learning and is aimed at helping to develop Nigeria’s tech and startup ecosystem via an incubation programme, as part of a nationwide initiative. 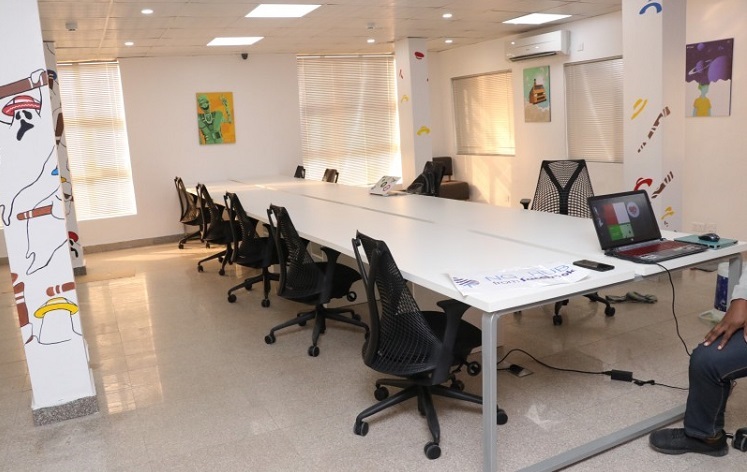 The NG_Hub space, opened this week, includes workspaces, meeting rooms and an event space, and will also be the focal point for a number of training programmes. It aims to attract the best talent and innovation in Nigeria’s tech ecosystem, and equip Nigerian SMEs and tech entrepreneurs to better understand and utilise the power of digital tools for economic growth. Training programmes include held at NG_Hub will include the Fb Start Accelerator programme, the two-month Digify Pro Nigeria bootcamp, the Boost Your Business programme, and the #SheMeansBusiness training workshops. “Technology provides expansive opportunities to engage young, creative and resourceful Nigerians, especially in delivering solutions to challenges across communities here in Nigeria. Our mission is to build community and bring the world closer together, NG_Hub provides that physical space that will serve as a centre of learning and skills development in Lagos, and I’m excited about the possibilities that this will create,” said Ime Archibong, Facebook’s vice president of partnerships. Bosun Tijani, founder and chief executive officer (CEO) of CcHub, said partnering with Facebook on NG_Hub would enable CcHub to achieve its objectives at scale and make the desired impact in the tech ecosystem in Lagos. “Our aim has always been to provide a viable platform for creatives and innovators to express their talent and create solutions to the myriad of social and economic challenges faced by countries across the continent,” he said. Facebook also announced partnerships with seven other hubs across the country, in Abuja (Ventures Platform), Jos (nHub), Kaduna (Colab Hub), Kano (DI Hub), Uyo (Start Innovation Hub), Enugu (Roar Hub) and Port Harcourt (Ken Saro Wiwa Hub). These will serve as centres of excellence and will feature dedicated Facebook spaces.